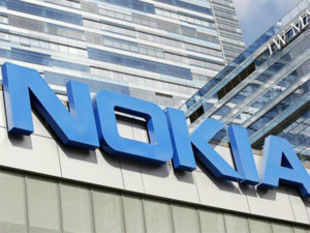 WASHINGTON: After signing a pact to sell its handset business to Microsoft, Finnish phone giant Nokia can neither license the 'Nokia' brand for use in connection with mobile device sales nor use the brand on its own mobile devices for a specific period. "Microsoft has also agreed to a 10-year license arrangement with Nokia to use the Nokia brand on current and subsequently developed Mobile Phones based on the Series 30 and Series 40 operating systems," Nokia said in a recent US filins. okia, which will be left with only its telecom equipment, location and patent development business, would have right to continue and maintain Nokia brand except for certain period as per the agreement. Nokia will seek its shareholders approval on November 19 this year to $7.2 billion deal to sell devices and services business to US software giant Microsoft. If shareholders o ..